1. Any skirt, jumper or shorts worn should be 4" or less from the knee when kneeling. 2. 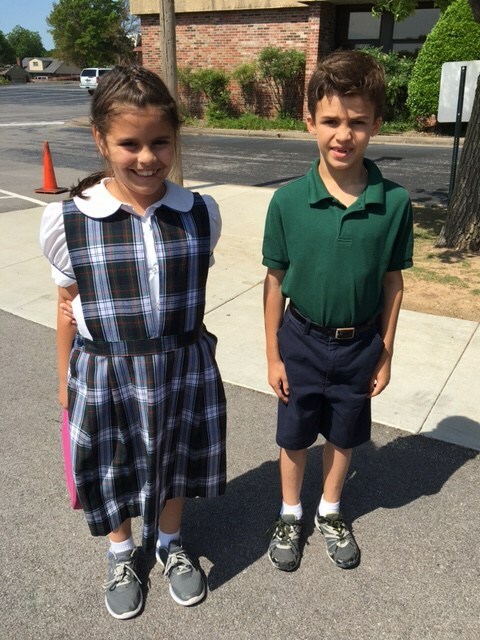 Closed-toed shoes and socks must be worn to school every day. Tennis shoes must be predominantly white, black or gray with white or black shoelaces. Non-scuffing navy, brown or black dress shoes are also allowed. Boots may only be worn on rainy or snowy days. White, navy or black socks only. 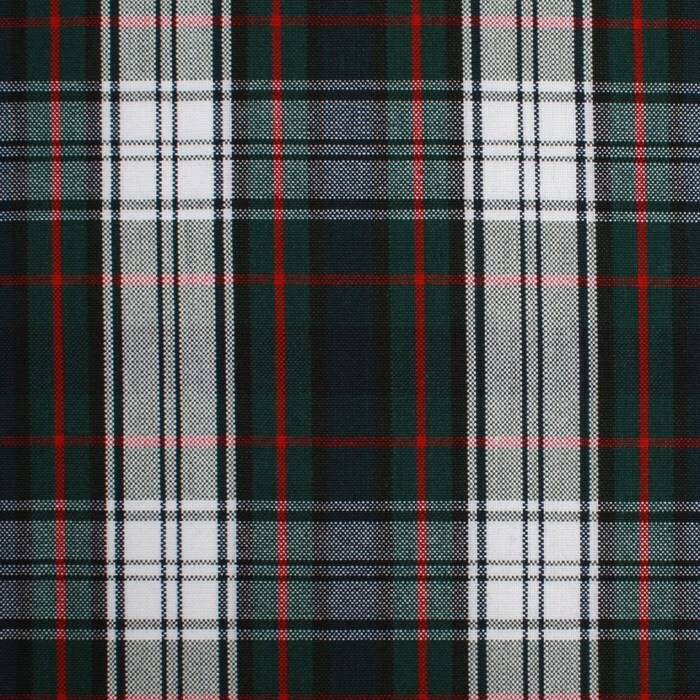 Girls may wear tights in these colors. Girls may also wear leggings (white, navy or black) under jumpers. 3. 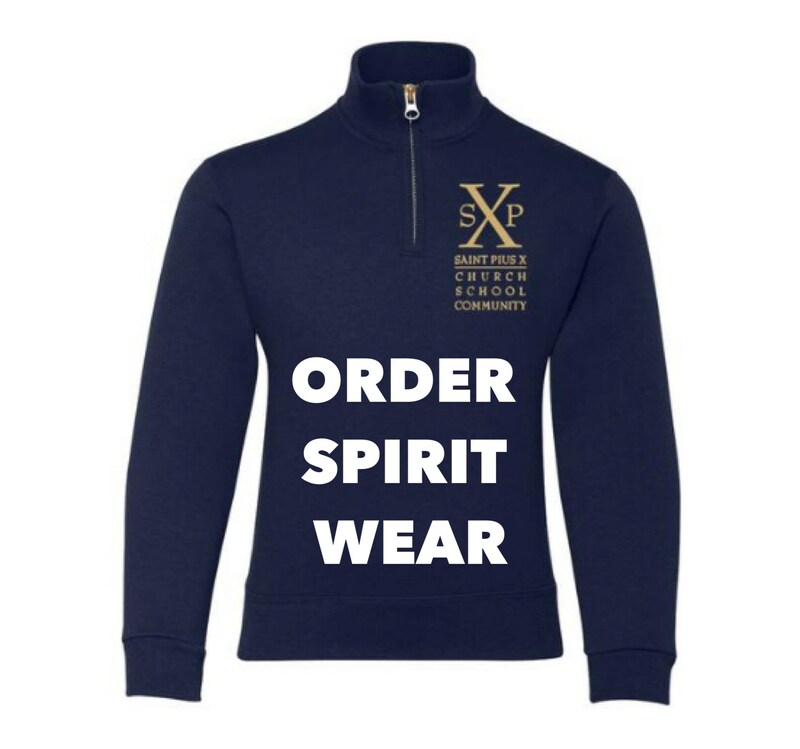 All sweatshirts/hoodies must be school regulation with the St. Pius X logo. These are available for purchase in our Spirit Wear store or look for items in the Uniform Exchange. These items must be worn over a polo shirt or blouse. 4. Polo shirts, blouses, oxfords and sweaters may not have logos, unless it's an embroidered St. Pius X logo. Navy blue elastic waist pull-on pants or shorts (leggings and skorts also acceptable for girls). No belts, snaps or zippers if possible. Navy blue, black or white cardigans for girls. Navy blue sweaters for boys. Girls may wear regulation jumpers. 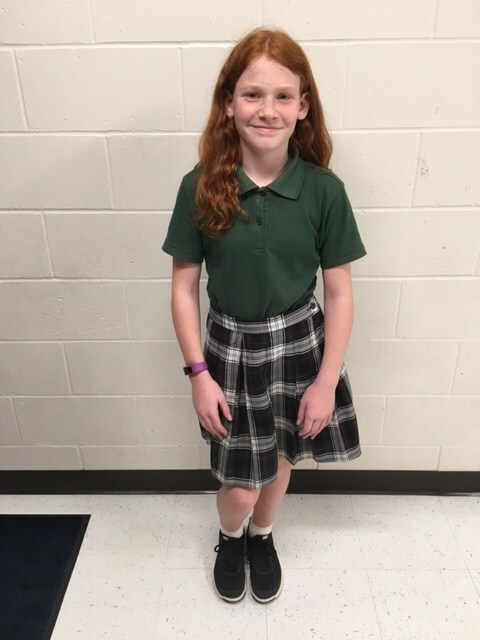 In 5th grade, girls may wear regulation skirts. 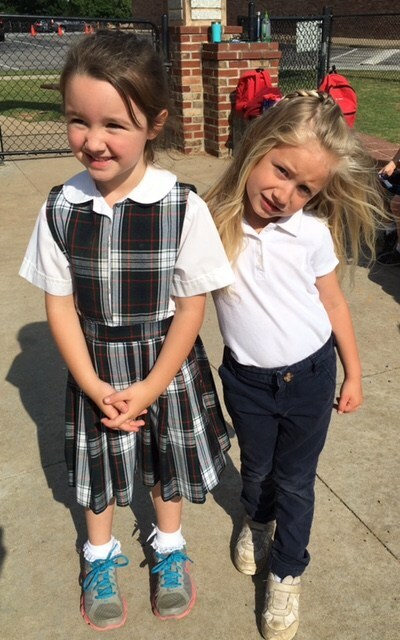 Girls may wear regulation skirts. 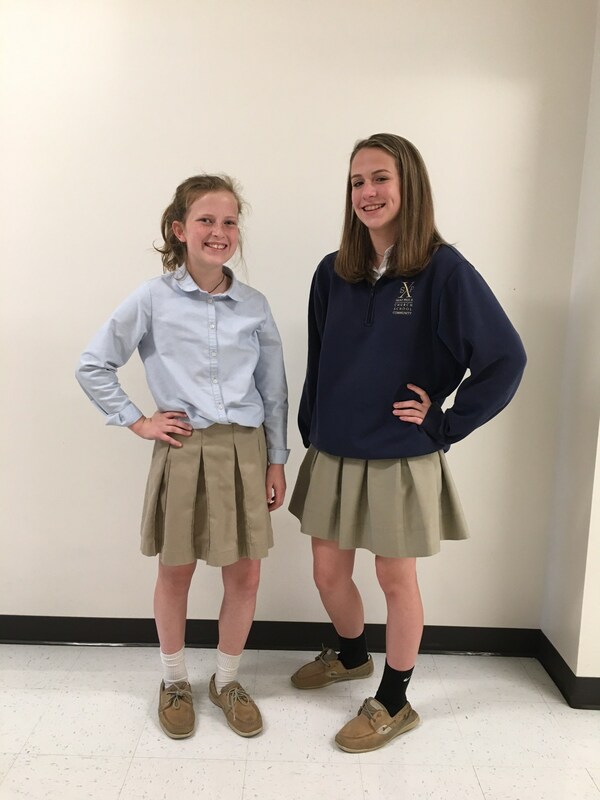 In 8th grade, girls may wear khaki pleated skirts. Leggings or shorts must be worn under skirts (see General legging rules above). 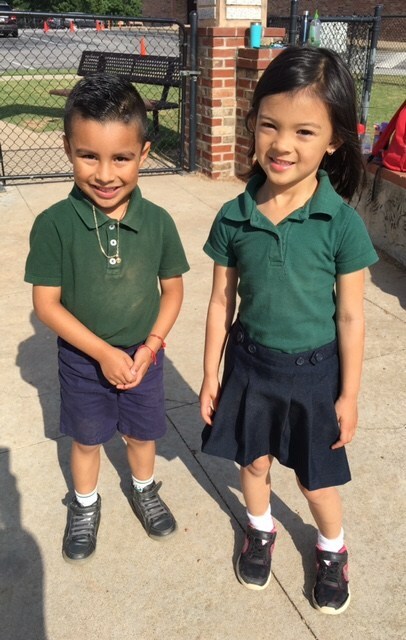 Plain light khaki uniform pants or walking shorts (no corduroy, cargo, "skinny," jean-style or embellishments allowed). Button-down white, yellow or blue oxford shirts. Girls may also wear light pink. 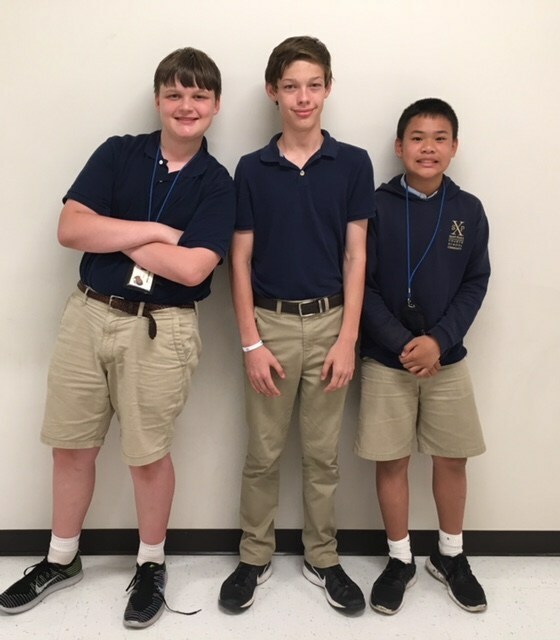 Spirit Dress days allow students to celebrate St. Pius X pride by wearing a St. Pius X spirit T-shirt, St. Pius X club or athletic shirt with blue jeans or shorts. All rules of the dress code still apply, including no leggings for Middle School girls, no short shorts, etc. This year's Spirit T-shirt order form can be found here. Occasionally students will earn Free Dress, which allows students to wear nice jeans and T-shirts. T-shirts must be school appropriate and therefore should refrain from vulgar language, or ideas, the advertising of alcohol, or other drugs, or portrayal of other offensive content. Free Dress days may not be scheduled on Mass days. 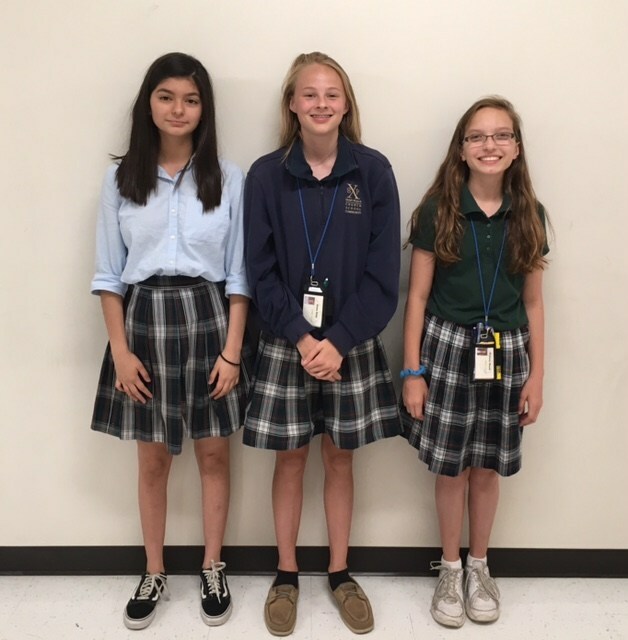 St. Pius X plaid jumpers, skirts and other uniform items are available for purchase at C&J Uniforms located at 4984 S. Memorial Dr. Additionally, free uniform items are available in the St. Pius X Uniform Exchange room located to the right of the stage in the Gym.